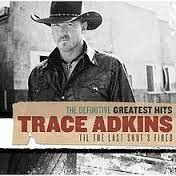 This is a Performance Track for Trace Adkin's "Till the Last Shots Fired." This is in the original Key and includes a lead vocal sheet and SATB choir parts that come in at the end of the work. An excellent Patriotic Work that will inspire your audience. You can use the lead/rhythm chart for a live band and perform the work live. This is just like Trace does it.